St. Augustine offers visitors a vacation’s worth of historical attractions to discover. From the magnificent churches to the iconic buildings and military fortresses, the ancient city is a favorite among those with an affinity for history. As one may imagine, with a past that spans so many centuries, this charming beachside town has also had its share of turmoil, including war, sickness and death. So it’s not surprising that the Nation’s Oldest City is known as one of the most haunted places in the United States. 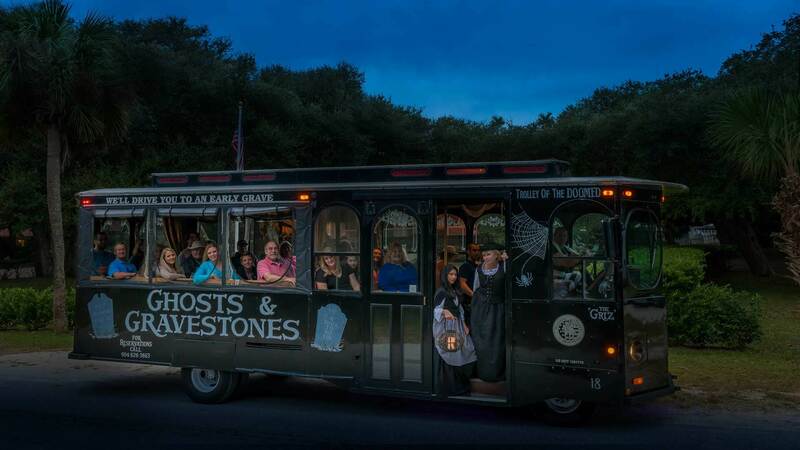 For paranormal enthusiasts, St. Augustine is paradise of a darker kind. It’s here that many flock to discover if the accounts are true and to see for themselves if ghosts really do exist. 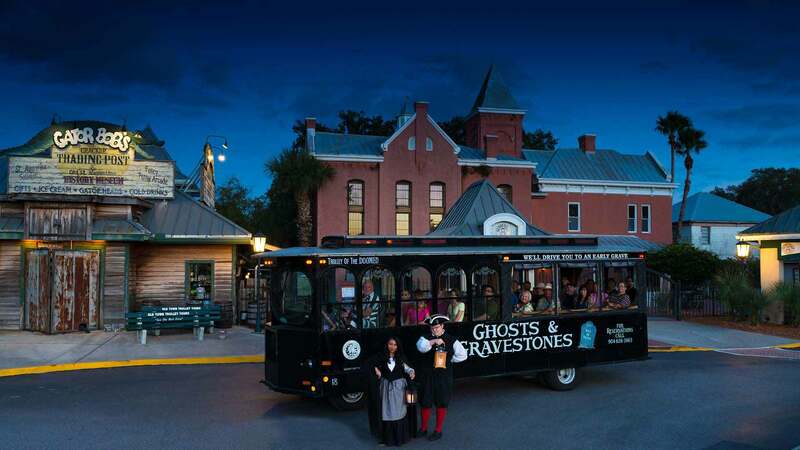 It you’re wondering yourself, read on to learn more about St. Augustine’s haunted history. 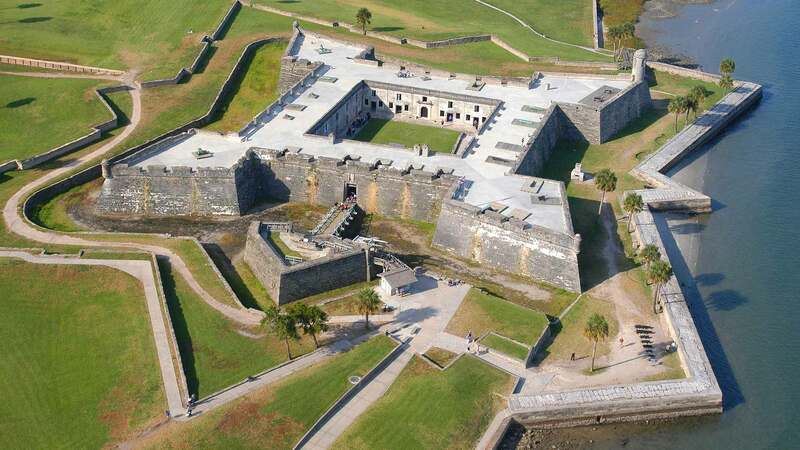 Considered by many to be one of the most haunted spots in the city, Castillo de San Marcos was built between 1672 and 1695, making it the oldest masonry structure of its kind in the continental United States. Built to protect the city against foreign invasion, the fortress went through many battles and several name changes when the city transitioned from Spanish rule to British rule and then back under Spanish rule. It was under continuous military possession until it was deactivated in 1933. During the tumultuous years of war and battles, it is said that one particular event caused several spirits to haunt the fort and it’s a twisted story of love and betrayal. There were several civilians living at the fort during that era in addition to the many soldiers and families. One family member in particular, Dolores Martis, the wife of Colonel Garcia Martis, is said to be among the spirits that still linger at the fort today. It seems that late at night, when everyone else was asleep, Dolores would sneak away to another area in the fort to meet her lover, Captain Manuel Abela. The two were successful at not getting caught for many months; until one day the Colonel caught a whiff of his wife’s perfume on the Captain. And while there’s no proof as to what really happened, both Dolores and Captain Abela disappeared shortly after and were never seen again, that is, until two skeletons were discovered in a hidden room of the fort’s dungeon. Since then, many who visit Castillo de San Marcos report the smell or perfume and a chill in the air while in the dungeon. In extreme cases, some have even felt like someone was touching them and report becoming nauseous for no apparent reason. Other accounts also tell of sightings of a solider dressed in period clothing looking out to the vast sea. Perhaps it is the Colonel himself, still troubled over what happened. In the city’s earliest days, it wasn’t uncommon for people to be thought dead when they actually weren’t. There were several instances where someone was nearly buried alive and it’s one of these times that had a significant effect on St. Augustine’s haunted history. The story is told that a young woman was nearly buried alive at Tolomato Cemetery, waking up only seconds before her coffin was covered up by dirt. Mourners had gathered to pay their respects and one of them heard a scratching sound coming from inside. Freed just in time, the woman went on to live another six years before passing away (again); only this time it’s said that she never crossed over to the other side. Since this fateful day, visitors to Tolomato Cemetery have reported seeing her spirit float through the trees and have heard a woman’s whisper on still nights. She’s not alone though, as other guests have seen the ghosts of children playing inside the cemetery and heard the sounds of their laughter. 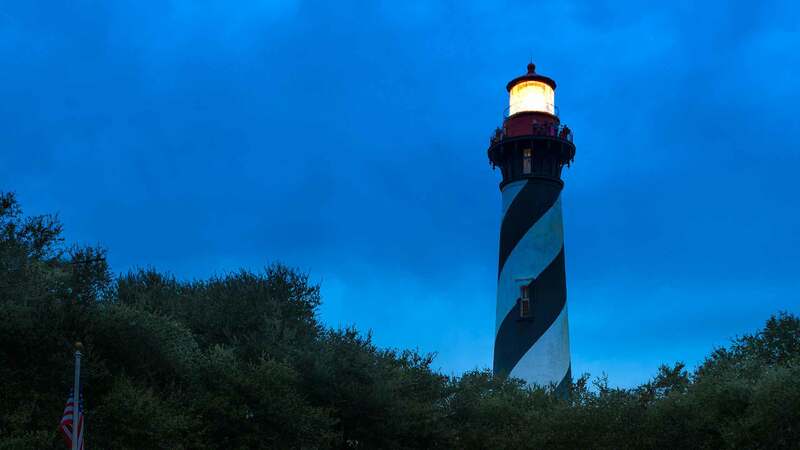 There are two very well known events that paranormal experts agree could have caused the beautiful St. Augustine Lighthouse to become a site for paranormal activity. The first is the tragic death of two young sisters, Eliza and Mary, whose father, Hezekiah Pity, worked on the grounds of the lighthouse in the mid 1800s. Doing what kids naturally do, the two girls were having fun climbing in and out of a cart on the property when out of nowhere they started to roll uncontrollably down a hill towards the water. Although they screamed in terror, by the time the accident was discovered it was too late. The young girls had fallen into the water and drowned. The second event, an equally sad tragedy, occurred in 1859 when the lighthouse keeper, Joseph Andreu, fell to his death while painting the outside of the lighthouse. As a result of these events, many people believe that the ghost encounters they’ve experienced are in fact the spirits of the girls and Mr. Andreu. Guests to this historic lighthouse have witnessed apparitions, disembodied voices and the appearance of several spirits. Most notably, a little girl in a blue dress, believed to be the ghost of the older Pity sister, has been spotted lingering among the grounds. There has been so much haunted activity at the lighthouse that is has been featured on the TV show Ghost Hunters. Built in 1891 by Henry Flagler, the building now known as the Old Jail served as the city’s prison for nearly 60 years and was home to hardened criminals as well as the sheriff and his family. It’s a well-known fact that during the prison’s busiest years, its inmates were treated less than humanely, many were even physically tortured. It’s because of these grotesque events that many ghost hunters believe the spirits at the Old Jail belong to the many prisoners who lost their lives within its walls. Eerie accounts by visitors include hearing painful moaning and chains rattling within the gallows where many prisoners were executed. The sight of the long-dead Sheriff Perry, who was known for his firm hand and harsh punishment practices, has spooked many a guest. Even reports of his heavy footsteps are enough to cause frightened guests to leave the premises as quickly as possible. It was in 1821 when the city of St. Augustine had to replace several water lines under the Spanish Military Hospital. During construction, a startling discovery was made – thousands of human bones! It seems that the hospital was built on top of a Timucuan burial ground. Even before the remains were unearthed, workers and patients inside the hospital reported an evil spirit roaming the wards. Other reports include hearing the cries and screams of patients dying within the hospital’s rooms, even though no one was in sight. Some say they could hear conversations going on; although the voices seemed hushed or a distance away. And many guests say they could see an imprint on the bed in one of the rooms, as if someone was laying on it. Although not the oldest in the city, the Huguenot Cemetery dates back to 1821 when the city needed a burial ground for those who were not Catholic. 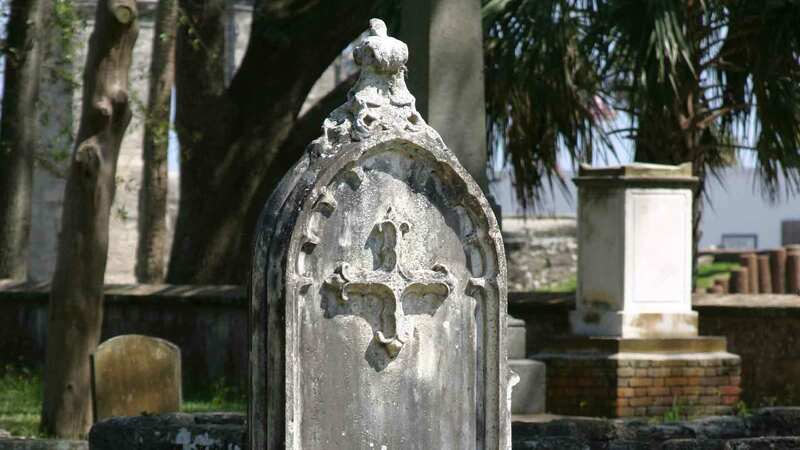 Considered a hotbed of paranormal activity, the cemetery is the final resting place for thousands of St. Augustine citizens. Despite the many burials, there is one event in particular that ghost hunters believe caused an extremely disturbing haunting of Huguenot. John Stickney was originally laid to rest in this historic burial ground; but when his children grew up and moved away, they decided they wanted his body exhumed and moved closer to them. During the exhumation, it is told that the grave diggers, who needed a break, walked away from the gravesite for several minutes. During those moments, a couple of low-life thieves broke into Stickney’s coffin and stole his gold teeth right out of his mouth. Since this night, many guests to the cemetery have seen poor John roaming, floating and lingering around the cemetery, perhaps in search of his stolen property.